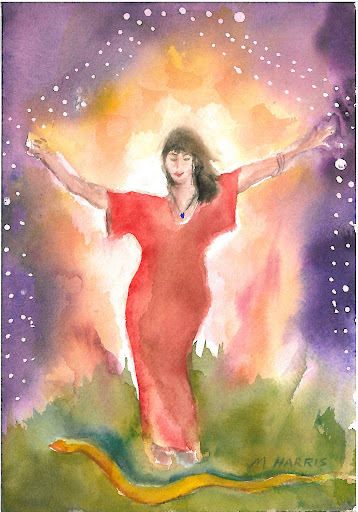 Be-lated Mojo Monday – Artist Kelly Rae Roberts – We Are All Meant to Shine! 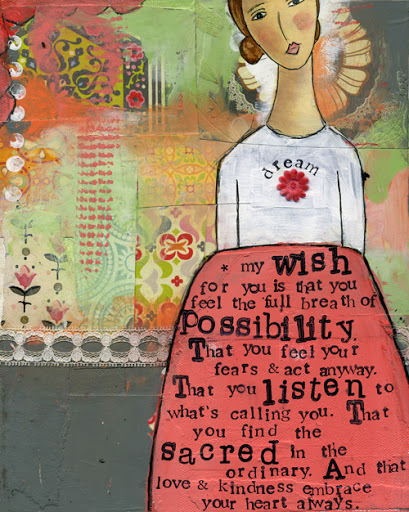 Artist Kelly Rae Roberts is so very inspirational. 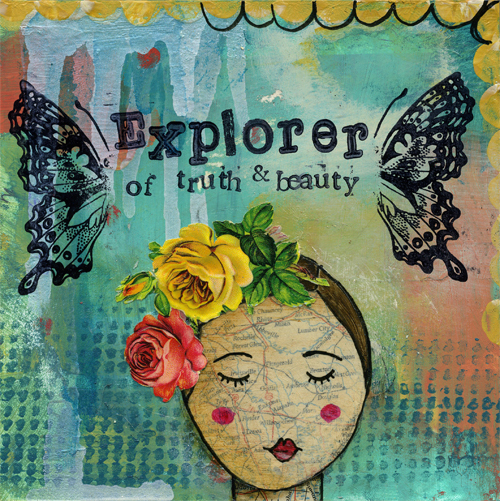 What I love most about her creations is the way she combines her beautiful images with inspirational words. I am both an image and word gal and I just adore it when both of these worlds are brought together. This week Kelly Rae celebrated her birthday and is also celebrating her working relationships with a company called Demdaco. Each day she has been sharing about the creative process and all the people involved in the process of bringing her art to a greater audience. 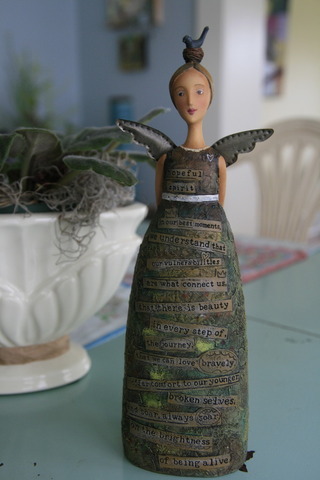 I recently purchased one of her sweet figurines called Hopeful Spirit. ﻿Here is the message that appears in her dress: “In our best moments, we understand that our vulnerabilities are what connect us, that there is beauty in every step of the journey, that we can love bravely, offer comfort to our younger, broken selves, and soar, always soar on the brightness of being alive.” This message so spoke to me. 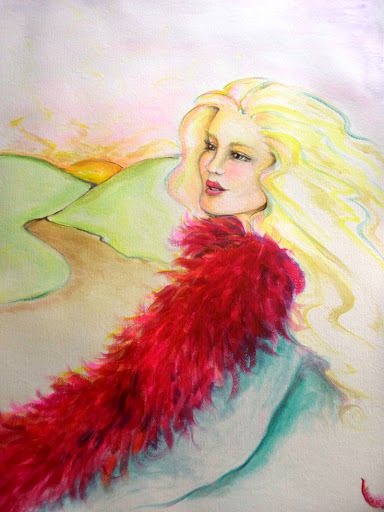 I encourage you to visit her blog to learn more about this amazing artist: http://www.kellyraeroberts.blogspot.com/. Also note that this week each day amazing gifts are being offered. All you have to do is check out what topic or question is being featured and leave one comment. They will announce winners next week.